This game is a cross between Boules and 10 pin bowling. 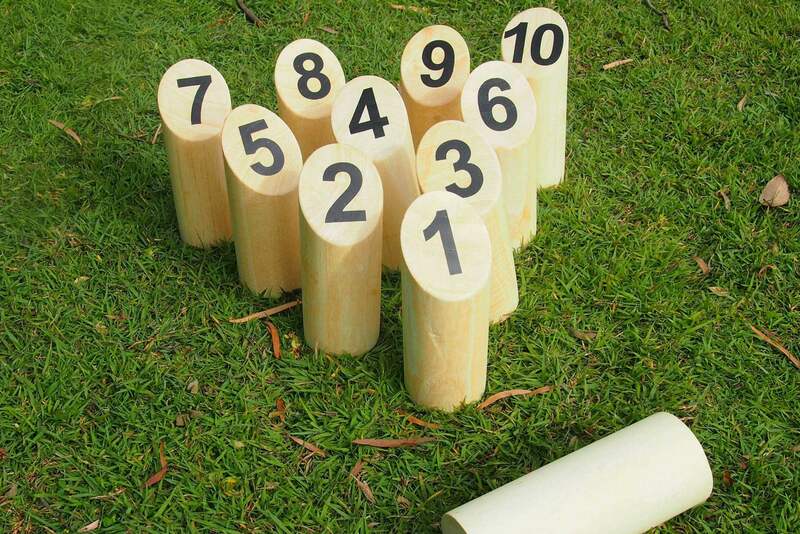 Set up the numbered pins and throw the baton to knock them down. Score is taken from the numbers on the pins knocked over, the first player to 50 wins.